It’s here – well, actually it was here back in November as an e-book but yesterday my book came out in print. As a bibliophile, I can barely describe the feeling of holding a book in your hand knowing it’s yours. It makes my mind reel and I feel giddy with delight. Academic books don’t come cheap, admittedly, but If you feel you can support the book by asking your library to buy a copy or downloading chapters almost as if they were journal articles, that is entirely optional (no pressure) but much, much appreciated. I feel enormously proud and it represents the culmination of such extensive work – there were 140, 000 words – and only 50,000 appear here, so there’s more to come. 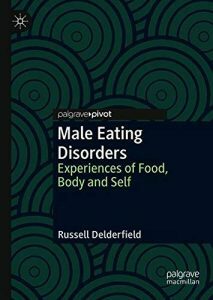 And there’s a lot to the scholarship, not just eating disorders but issues around gender,identity, masculinity, stigma, fat and fatness, colonisation and ambivalence. And Amazon has the ‘Look Inside’ feature. Please click on the share buttons to raise awareness if you feel you can.